If the prize will ultimately go to those prepared to be bold, then Pep Guardiola’s Manchester City will replace Chelsea as champions. No team in this league, not even the free-scoring Manchester United, seeks the initiative and demands the ball as they do. And it will seemingly take more than the erratic driving of an Amsterdam cabbie to thwart their plans. No Sergio Aguero, no problem: Guardiola still set out to take on the reigning champions in their backyard, outpass and outplay them, and go home with the spoils. Of course, fortune doesn’t always favour such boldness. And for much of this game it seemed the wiliness of Antonio Conte would smother the idealism of Guardiola. 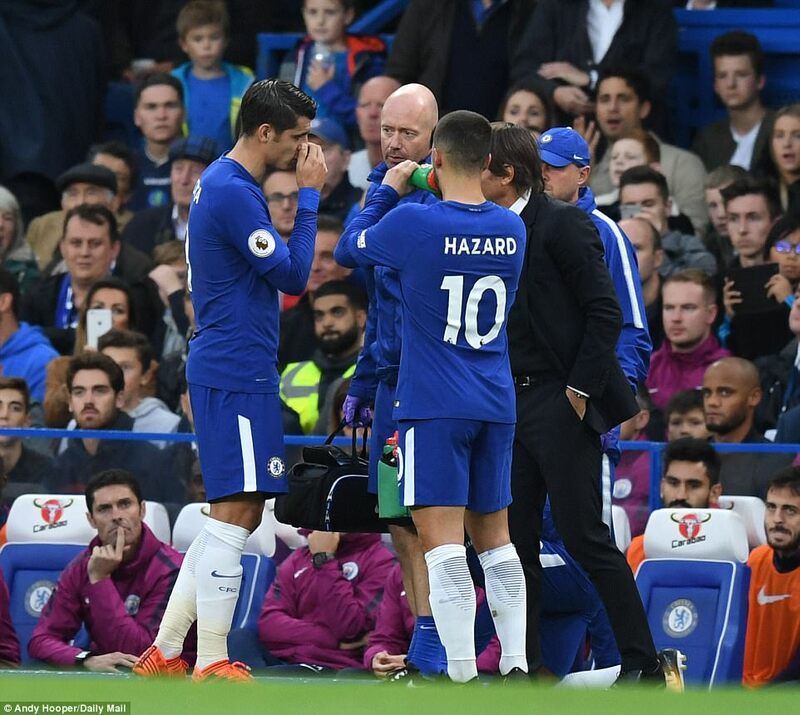 No matter that he was at home: once he had unluckily lost his only trusted centre forward in Alvaro Morata to a first half injury, Conte was prepared to sit this one out with no recognised striker on the pitch. And only when City did take the lead was Michy Batshuayi introduced. 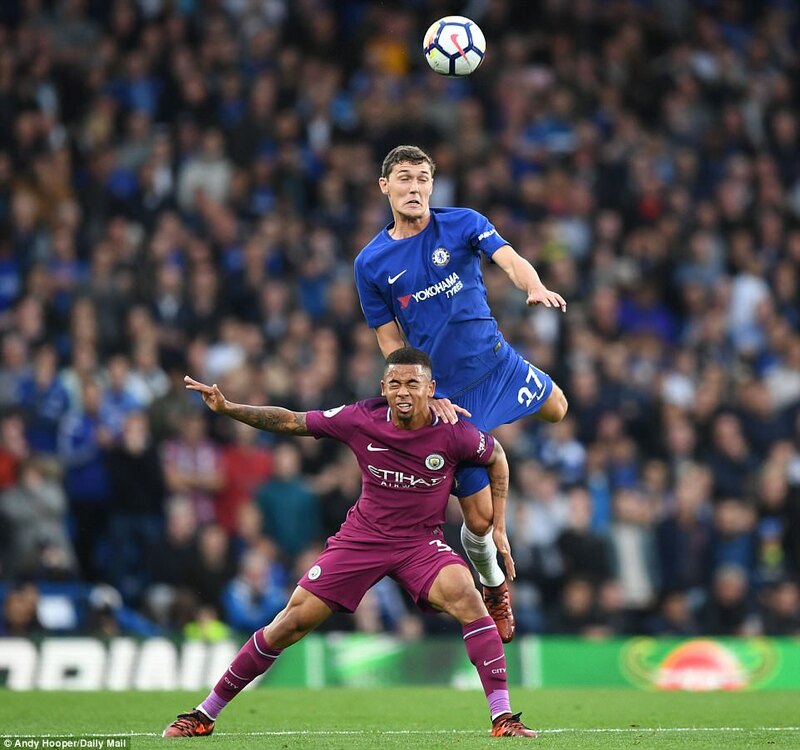 With his midfield three and with Anders Christiansen a natural born leader at the back, Chelsea were happy to harry City on the counter and did so quite effectively. On this occasion though, pragmatism was undone. City weren’t at their glittering best. But they toiled and stuck to the plan. They aspired after creativity and perfection even when they fell short. And eventually, through the unerringly influential Kevin De Bruyne, they struck a wonderful and deserved winner. 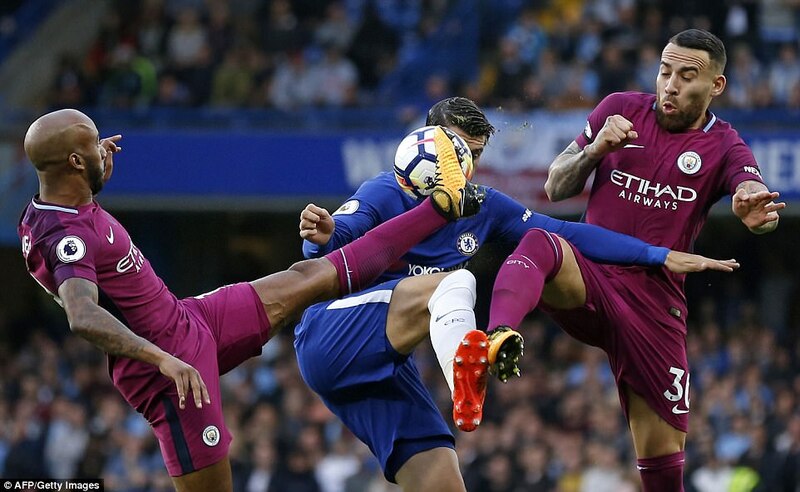 They might have won by a healthier margin, when Gabriel Jesus almost decapitated Antonio Rudigder with a fierce shot the Chelsea defender header off the line. No matter: the result rather than the scoreline was what mattered and sent a decisive message with which to conclude the first quarter of the season. 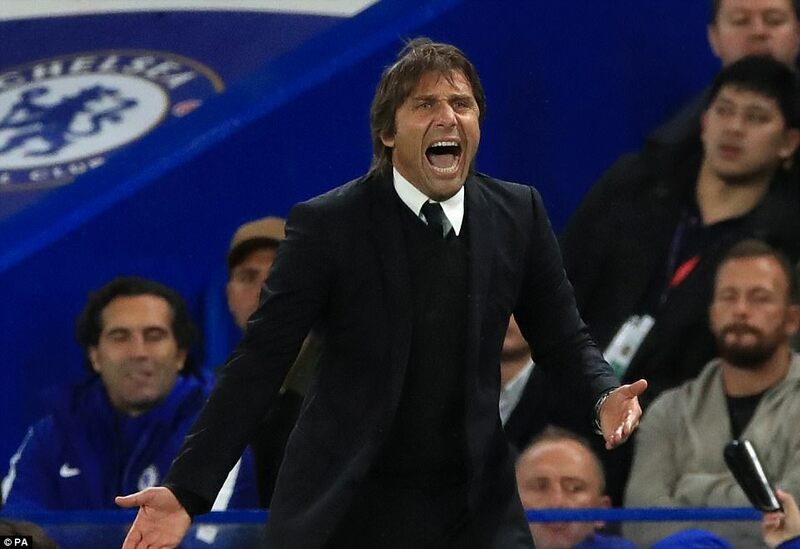 On the touchline there was almost as much energy expended as on the pitch: Guardiola would thump his thigh, screw up into an anguished face every time sacred possession was lost, which was often; Conte at one point turned and bawled out his coaching staff as they vicariously bore the brunt of Chelsea’s own laxity in possession. Indeed, no team quite grasped the game in that opening half, though City at least tried to do so, as was predictable given Guardiola’s desire to seize the initiative in every game he plays. Sergio Aguero’s Amsterdam escapades didn’t alter the attacking intent, nor did Benjamin Mendy’s absence. 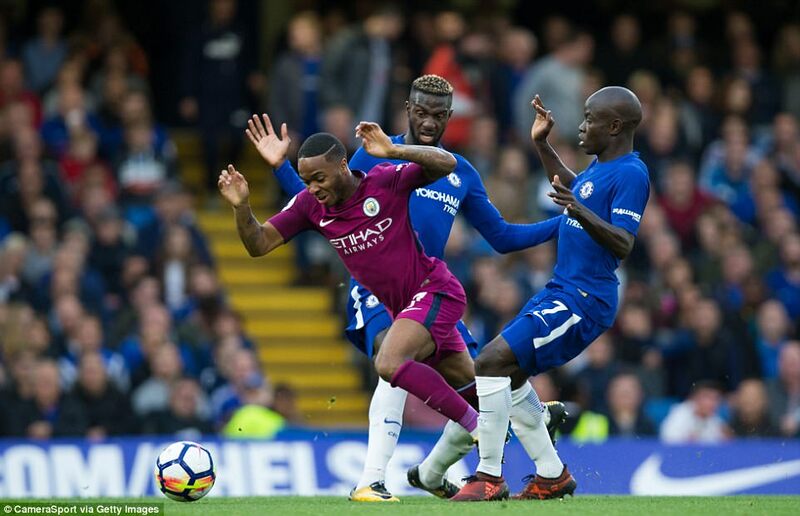 Once or twice Raheem Sterling, who consistently had the better of Marcos Alonso and Gary Cahill, was only a centimetre away from playing in Gabriel Jesus; Nicolas Otamendi headed a clear chance wide from a corner; David Silva almost surprised Thibaut Courtois with a snatched shot oin 30minutes; and the Belgian goalkeeper had to react smartly again on 45 minutes when Fernandinho met De Buryne’s corner firmly. 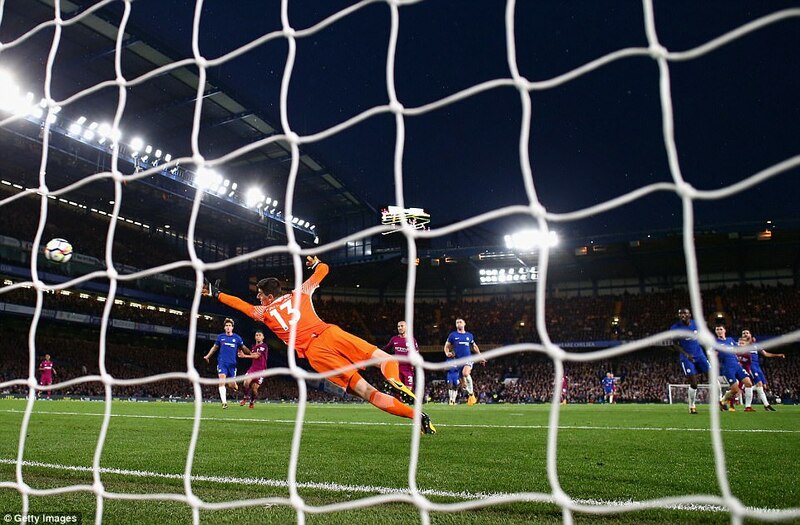 Early on, Gabriel Jesus had almost caught Courtois out, chasing down a back pass and seeing the deflected kick from the goalkeeper loop over the bar. But there was none of the slickness City exhibit against lesser sides, hence Guardiola’s frustration. They should have made more of the plenty they had. Chelsea by contrast were content to sit back and wait their chance so there was less chance to impress, but Anders Christensen look every inch a leader filling in for David Luiz. And when Chelsea counter they do so delightfully, especially with Alvaro Morata playing on the very edge of the defensive line, and Eden Hazard poised impishly, just a yard or so behind him. Conte paired that duo together up front and opting for a midfield three with Cesar Azpilcueta preferred at wing back over Victor Moses, a further sign of caution. Yet their threat always lingered at least it did until the 34th minute when Morata withdrew with what looked like a sore hamstring. He had been their principal outlet, almost embarrassing City when running on to a Cesc Fabregas threaded pass on 15 minutes, which was only just offside. 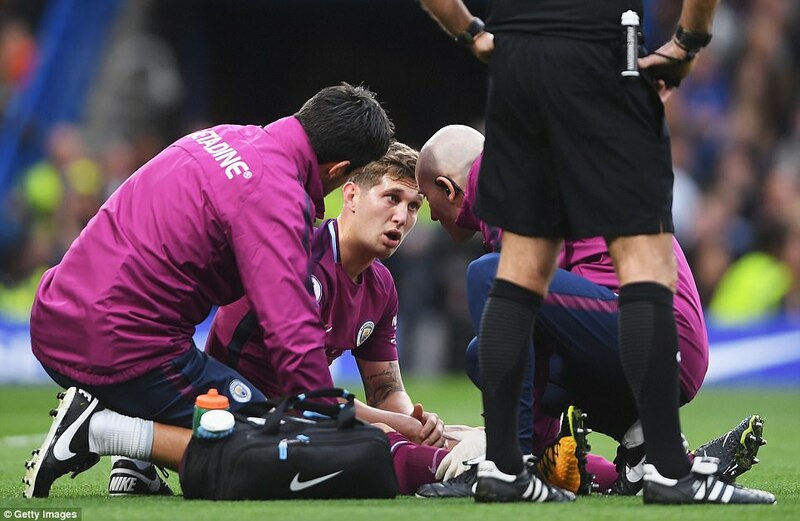 He had destroyed John Stones on 28 minutes, turning him one way, then the other, though Stones ultimately did well to recover and Kyle Walker blocked the shot. 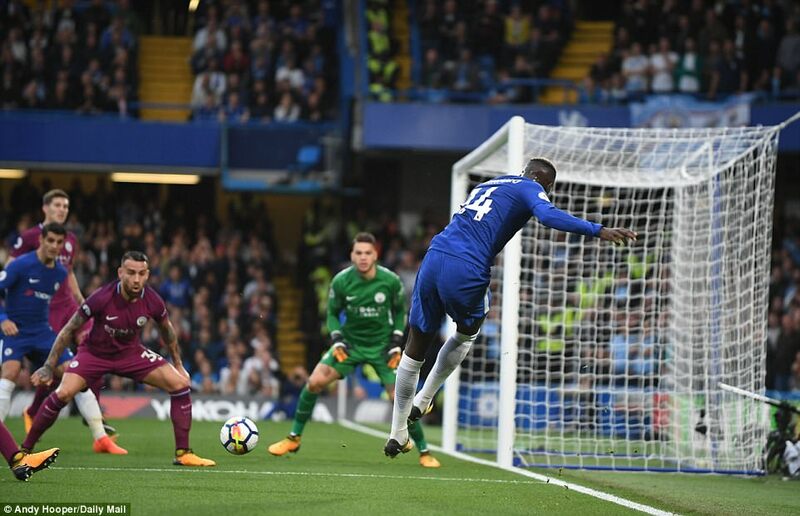 Azpilicueta went closest, his shot on 26 minutes seen later by Ederson, who dived to tip it wide. A game of such stakes required something clinical. Sadly, it was lacking for long periods. So when a De Bruyne corner cleared all heads and bounced invitingly for Sterling on the edge of the box on 55 minutes, the England man could only offer a looping strike well over the crossbar, greeted by ironic cheers in The Shed. 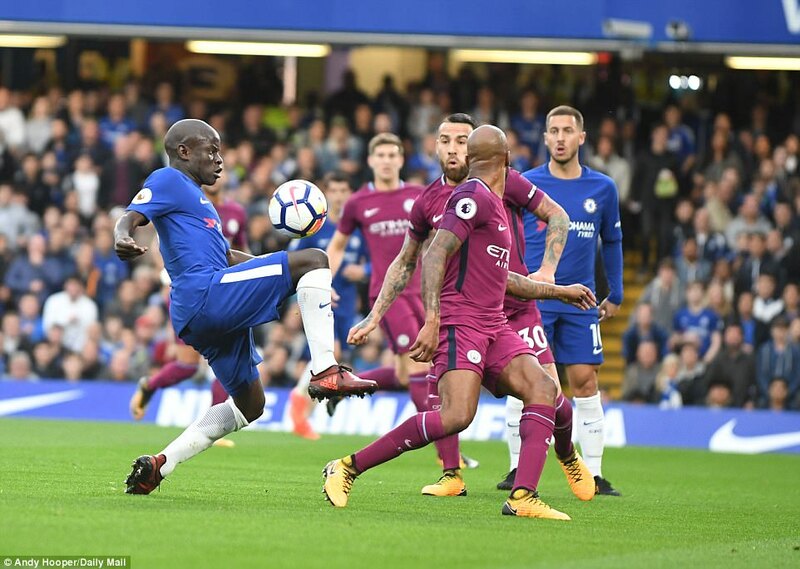 City continued to dominate; yet Chelsea maintained their foothold in the game, executing their plan faithfully. 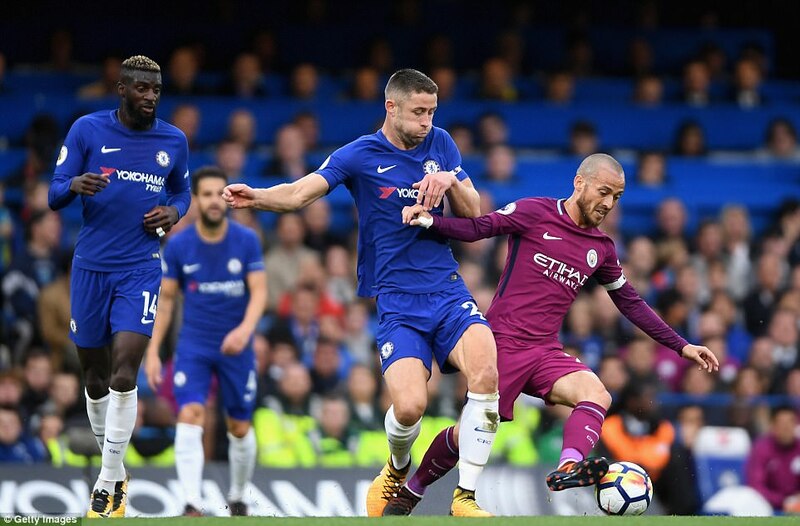 On a rare opportunity to run at City on 60 minutes, Hazard tempted Fernandinho into a foul, hacking at his feet, which merited a yellow card. The quick and clever reverse pass from Fabregas from the free kick almost created an opening goal, Hazard advancing and striking quickly but seeing Ederson parry his shot. City’s chances were more plentiful yet tantalising indecisive. 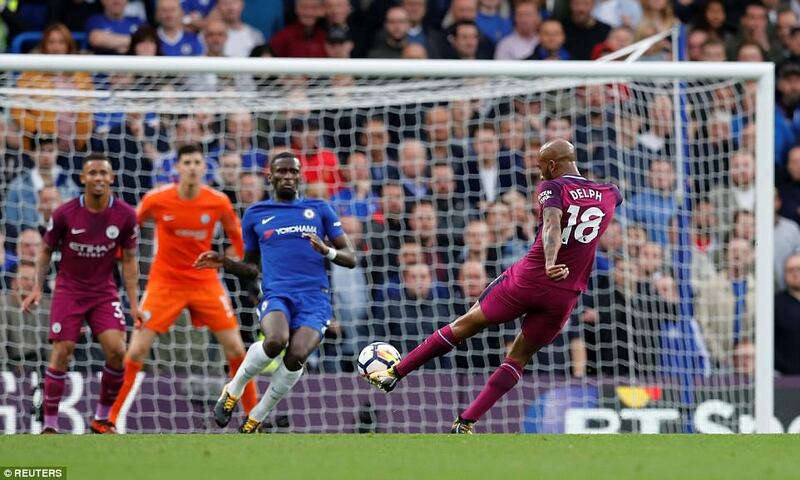 There was Marcos Alonso throwing himself to block a David Silva strike; Sterling crossing agonisingly just behind Jesus. Yet Guardiola is nothing if not faithful and his creed states that possession will ultimately endure. And on this occasion, his mantra was exonerated on 67 minutes. Playing from the back, City found De Bruyne. Head up, he advanced, exchanged quick passes with Jesus before striking a delightful, powerful, curling shot beyond Courtois and into the far corner of the net. The trajectory of his run allowed him to continue into the arms of the celebrating City fans. It was well deserved. 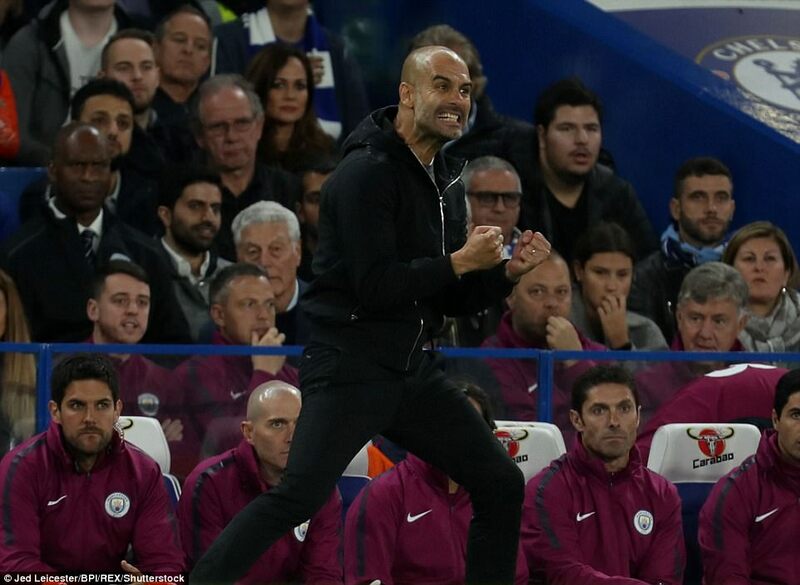 During his time on the touchline at Barcelona, Bayern Munich and Man City, Pep Guardiola has only beaten Chelsea twice in eight attempts, which includes Saturday’s victory, his first ever at Stamford Bridge. Guardiola lead Bayern Munich, fresh off a treble-winning season, to a penalty shootout victory against Chelsea, then-Europa League champions, in the 2013 UEFA Super Cup, with Romelu Lukaku missing the decisive spot-kick. 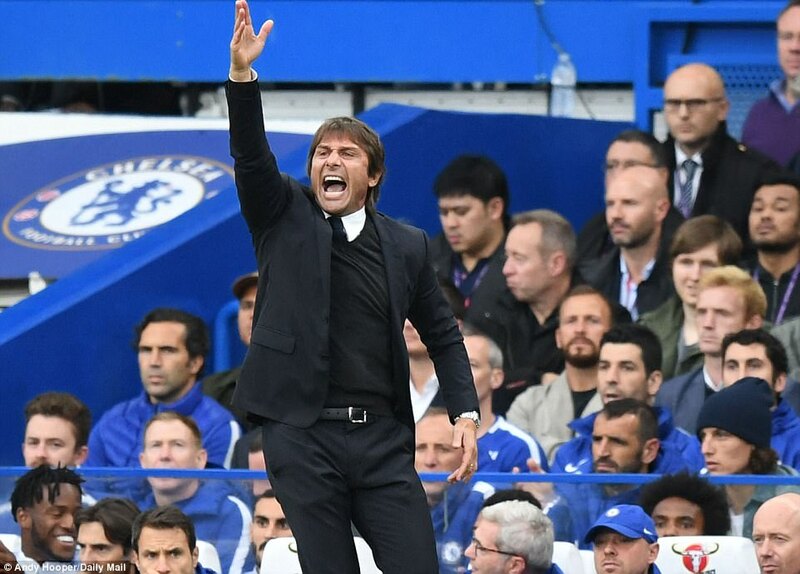 Antonio Conte became the first manager to record a league double over Pep Guardiola last season too, so he will be pleased to have flipped the script in 2017/18 with a rare away win. A section of Chelsea’s home support paid tribute to Denis Murphy, a lifelong Chelsea fan who was sadly killed in the Grenfell Tower blaze. The fans wore specially-designed white t-shirts to remember the 56-year-old Irishman and there was an also an applause held around the 56-minute mark. With the world’s most expensive defender Benjamin Mendy ruled out until around April, Pep Guardiola decided to solicit the services of none other than Fabian Delph to fill the former Monaco man’s position at left wing-back. 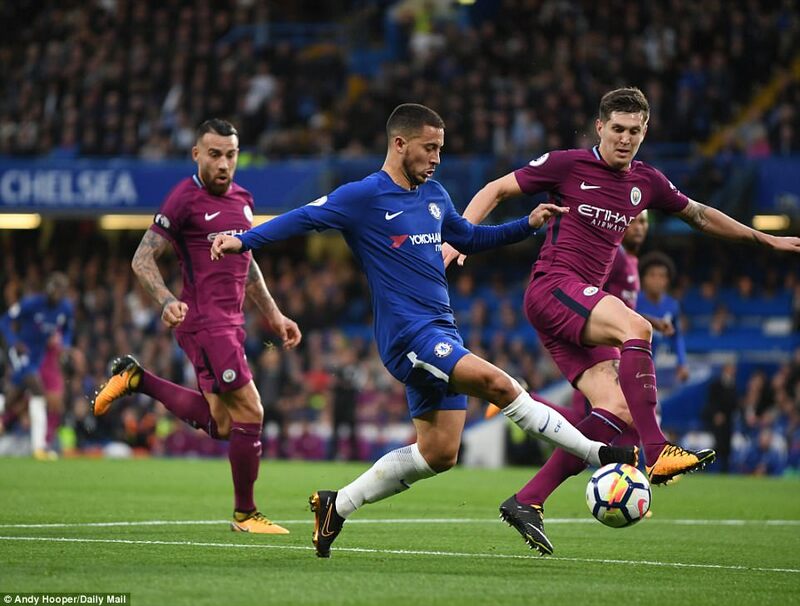 If he wasn’t providing an attacking threat with Kyle Walker, the former Aston Villa man was making himself a defensive nuisance, typified by an interception on Willian that prevented a goal-scoring chance for Eden Hazard late in the first-half. 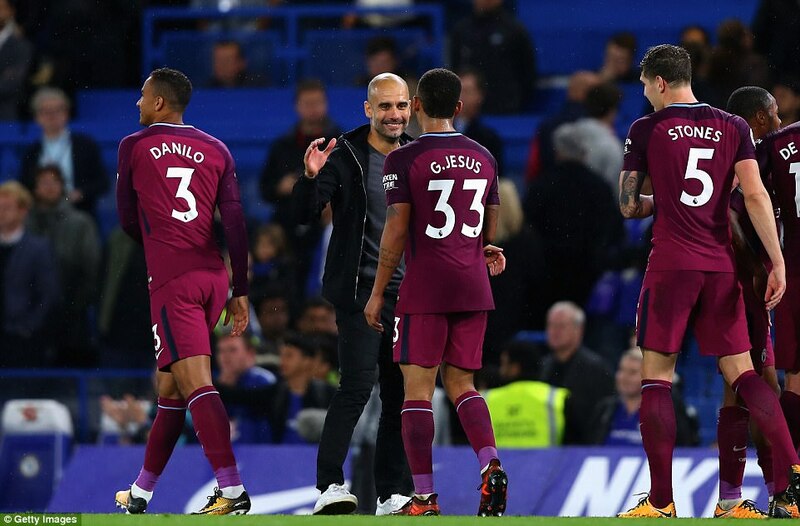 All-in-all, Delph surprised many with a strong performance at left-back, vindicating Guardiola’s decision to leave £27m man Danilo on the bench until the dying stages. Fresh off scoring the stoppage-time winner to make Chelsea the first-ever English side to beat Atletico on Spanish soil, Michy Batshuayi headed into Saturday’s fixture with momentum of sorts. So when Alvaro Morata limped off in the first-half, all signs would turn to yet another appearance off the bench for the young Belgian striker. Instead, Willian entered the fray, with Batshuayi coming on later in the second half as Chelsea chased the game. Despite a brief appearance, some might see it as telling that Conte opted to go with a winger instead of calling upon the services of the £30m former Marseille striker with the game firmly in the balance. Kevin De Bruyne may often be criticised for his lack of goals, but when he does score, they’re often memorable. 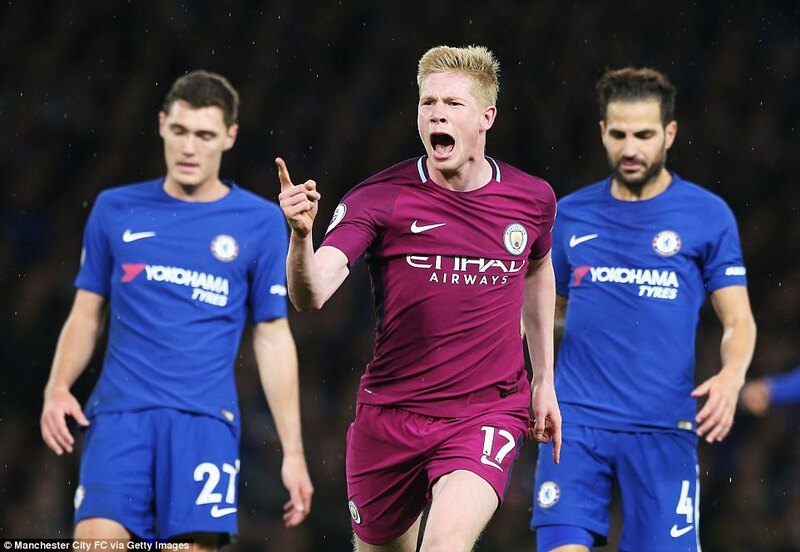 Nine of Man City’s last 11 goals from outside the box have been scored by the former Chelsea midfielder, including City’s last four, whilst seven of De Bruyne’s 14 goals for Man City have come from outside the box. His goal against Chelsea marks the second long-range screamer he’s scored this week, adding to his stunning opener in the 2-0 victory at home to Shakhtar Donetsk, another close game which he titled in City’s favour with a goal from distance.